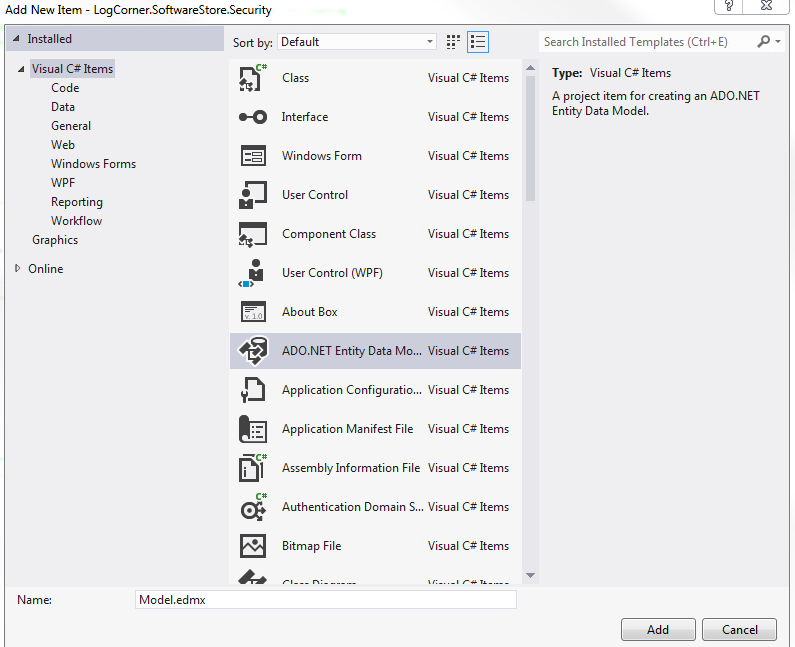 Microsoft’s ADO.NET Entity Framework (EF) simplifies data access by allowing you to avoid working directly with the database in your code. 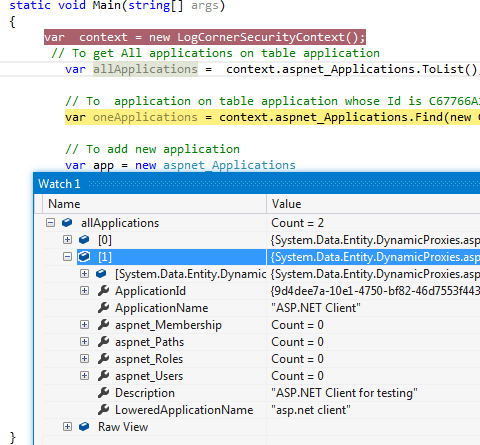 Instead you can retrieve data by writing queries against strongly typed classes letting the Entity Framework handle the database interaction on your behalf. 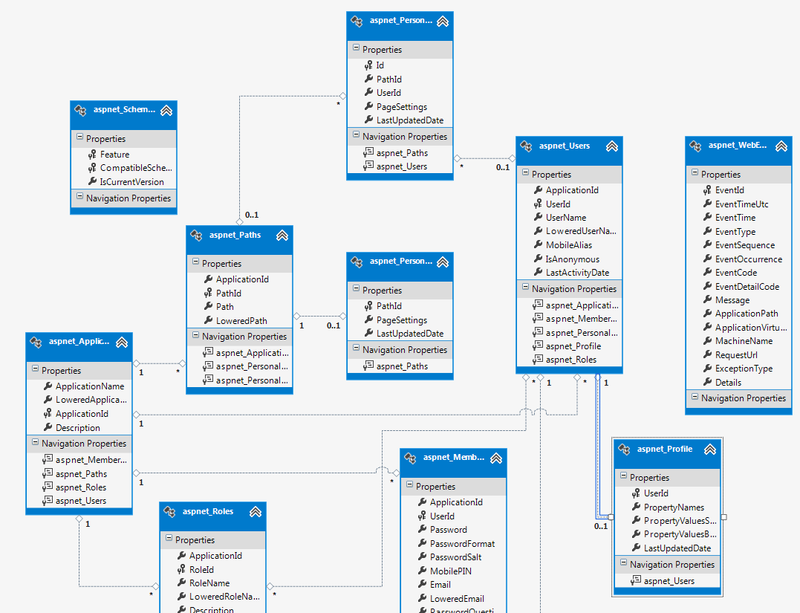 EF can also persist changes back to the database for you. In addition to this benefit, you will also benefit from the EF’s comprehension of relationships. 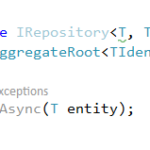 This means you will not be required to write extra code to specify joins between entities when expressing queries or simply working with your objects in memory. 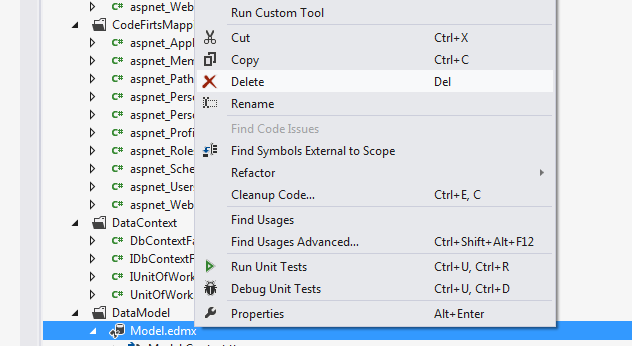 EF provides you with three ways to define the model of your entities. 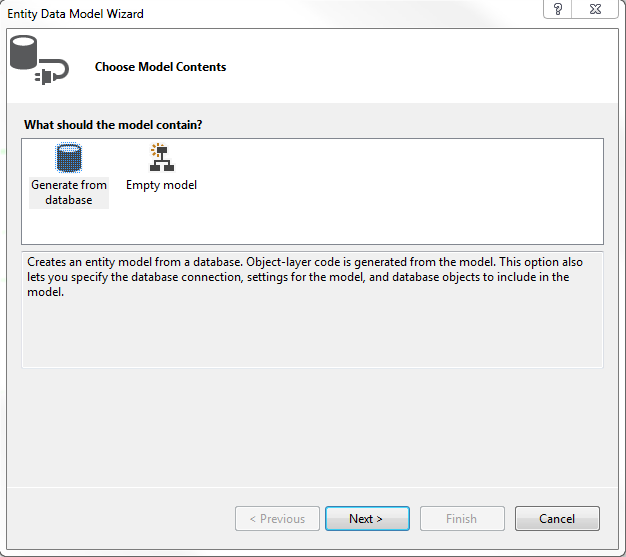 Using the database first workflow, you can begin with a legacy database to create a model. 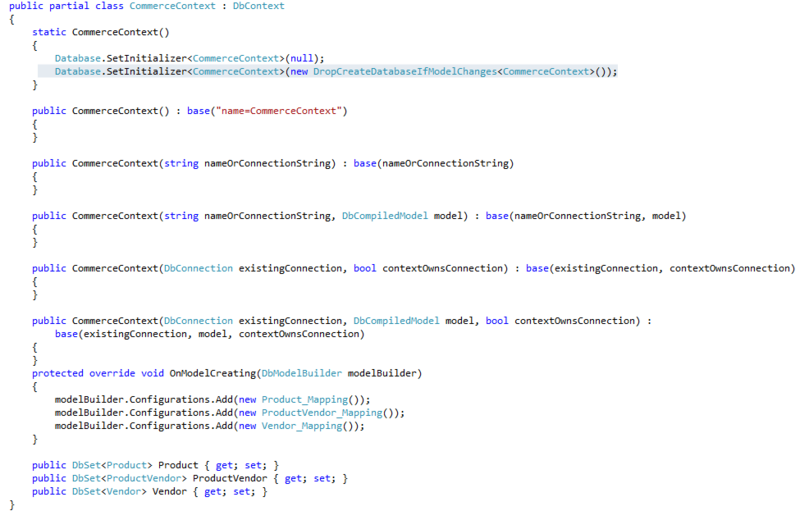 With the model first workflow, you can design a model in a designer. 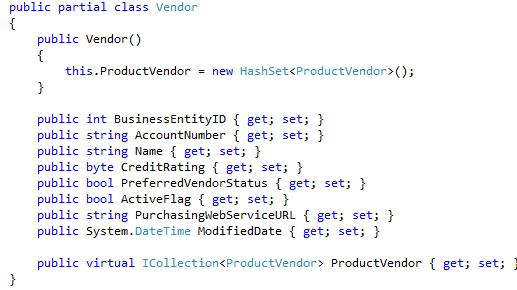 Or you can simply define classes and let EF work with those—referred to as code first. 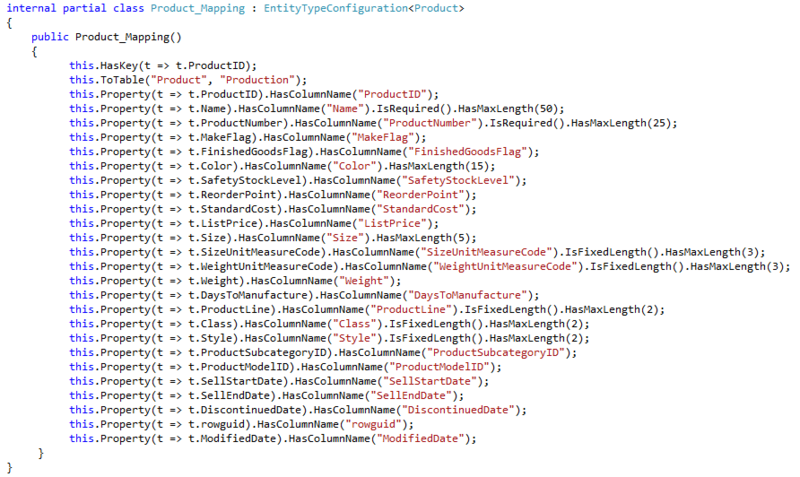 Then we start from an existing database, which lets us create the model by a simple drag and drop. 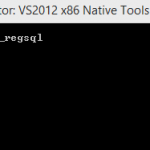 Here, Will connect to SQL Server or another database Server, So Microsoft SQL SERVER as Data Source, if we use another database Server click change. In this case, we don’t have an existing database (the goals is to enable a more code-centric option which we call “code first development”). 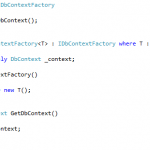 Create a ProductVendor class as follow. 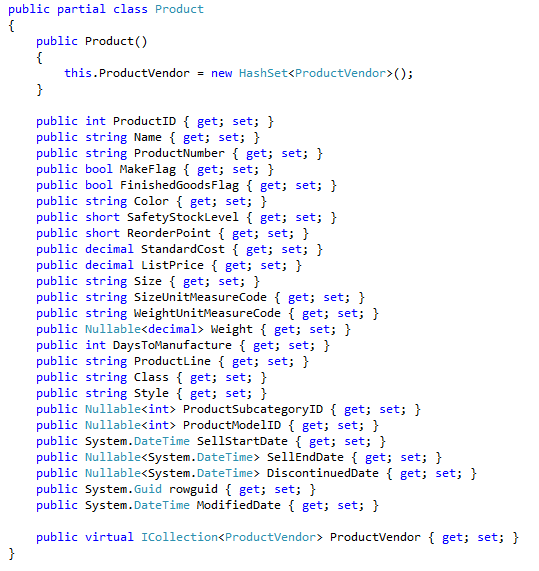 Note that a Product can have many Vendors and a vendor can sell many Products. 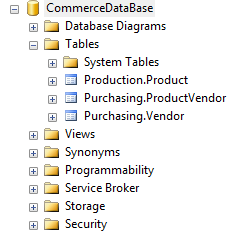 Our next step is to define Mapping between classes so as to define our database objects. 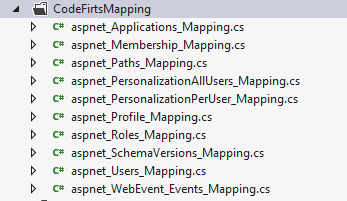 Note that it is possible to do Code First without mapping relationships between classes . 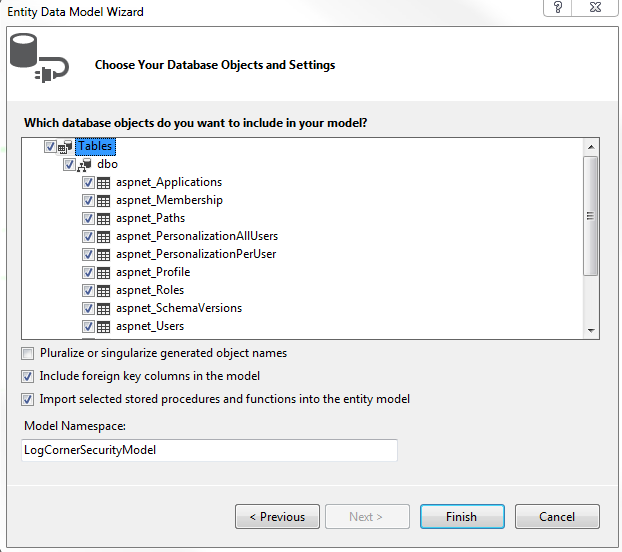 In this case our databases objects will be created as the names of our classes and database fields as the name of our class properties. 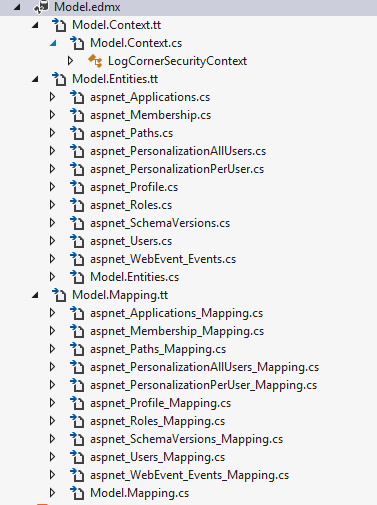 Now update our web.config file so as to set our Database name (in our case , we are setting the name as CommerceDatabase). 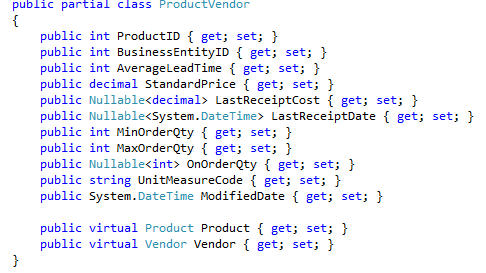 To test our sample, we can only execute the code below. 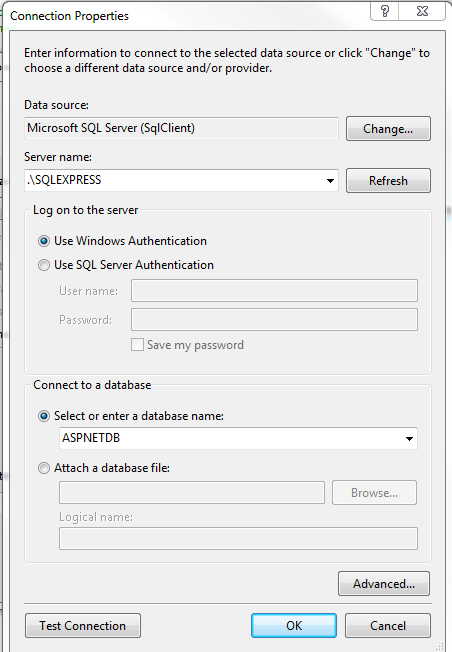 The result is that a databse whose name is CommerceDatabase is created on our server .SQLEXPRESS. 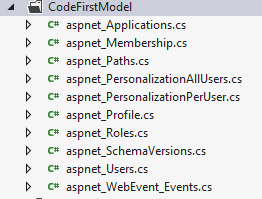 ← How to configure Custom Membership Provider using ASP.NET MVC4 with external login like facebook, yahoo , google or other relying party accounts.